The first of our events were held in 2004 at the United Nations Headquarters and UNICEF House in New York and in Los Angeles in 2005. In 2006 the summit was held at the United Nations Headquarters in New York and in 2007 at the University of California in Los Angeles. In 2008 the summit was held at the United Nations Headquarters in New York. Geneva was home of the International Human Rights Summit 2009 and in 2010 the International Human Rights Summit was held at the United Nations Palais des Nations with more than 60 United Nations officials in attendance. Participants have included delegates from all continents including delegates from countries such as Australia, Austria, Canada, Colombia, Congo, Egypt, France, Germany, Guatemala, Guyana, India, Italy, Japan, Jordan, Liberia, Mexico, Morocco, Nepal, Philippines, South Africa, Sri Lanka, Switzerland, Togo, Uganda, UK, USA, Venezuela and Zambia along with UN officials and UN country mission representatives, human rights and religious leaders, NGOs, local community activists and students. 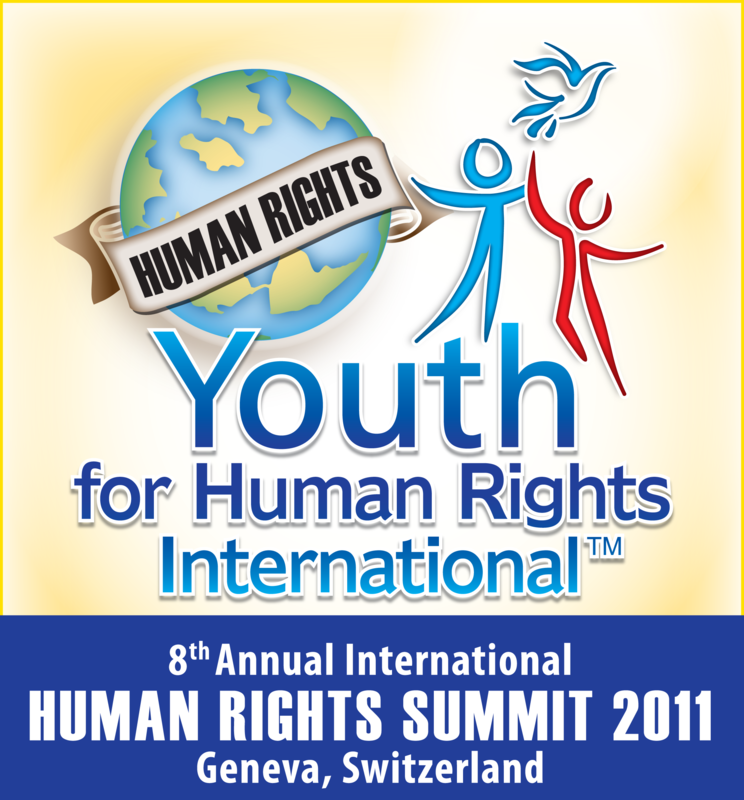 The three-day series of events will begin with the International Human Rights Summit. 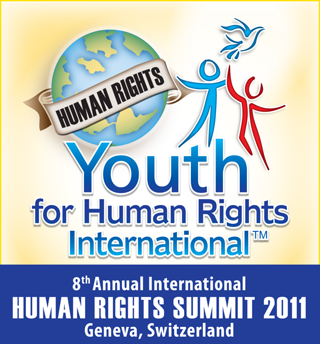 We will acknowledge outstanding contributions in the field of human rights with our Human Rights Heroes Awards 2011. The following day youth will learn and discuss Human Rights Education at an interactive workshop. Sunday morning we will join with people from around the world at our Inter-Religious Service for Peace. As has been our tradition, youth will play a prominent role in the events, with young human rights activists attending from around the world to represent their countries. This year YHRI will extend a limited quantity of sponsorships for youth who qualify as Youth Country Delegates. Youth applications will be accepted until June 30th. Successful applicants will be notified by July 15th. There will be only one qualifying Youth Country Delegate per country to ensure international diversity at the conference. The limited quantity of sponsorships will be awarded to some of the Youth Country Delegates based on merit. The sponsorships will not include airfares, visas and the mandatory travel insurance costs. Sponsorships will include costs in the hosting country including transport, accommodations and meals. There are no sponsorships available for participating adults. Adults will pay for their own transport, accommodations and meals. Entrance to all events is free of charge to enable broad participation by young people and the community at large. Due to limited seating we suggest that you RSVP as soon as possible to avoid disappointment. Please contact us at genevasummit2011@gmail.com. As a non-profit corporation we rely on the generous support of like-minded individuals, groups and organizations. Your support is needed to expand our programs and enrich the lives of more youth, through the knowledge that they have human rights and responsibilities. I welcome your active involvement in our joint efforts to make human rights become a reality for all.